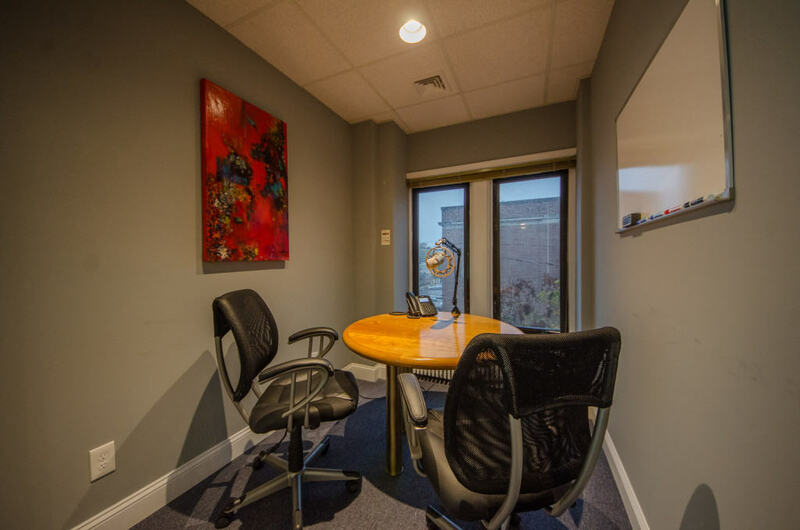 Every office space rental at HeadRoom Media is different and ranges in size from a two-person consultation room to a 12 person conference room, from a small recording studio to a space for a 30+ person presentation or workshop. 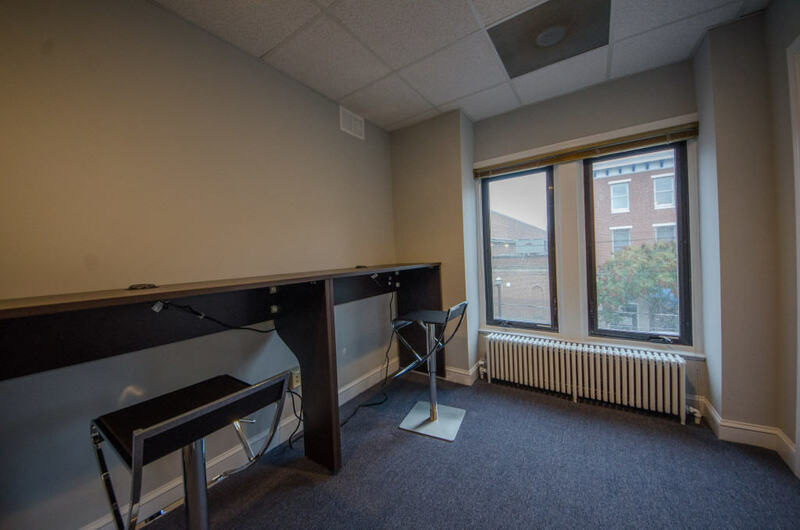 All our offices have a door and window, and as a Resident you can book one for yourself or for whomever you want to bring along with you, whether that’s a single client or your entire team. Simply go online and book your office space for whenever you need it 24/7. 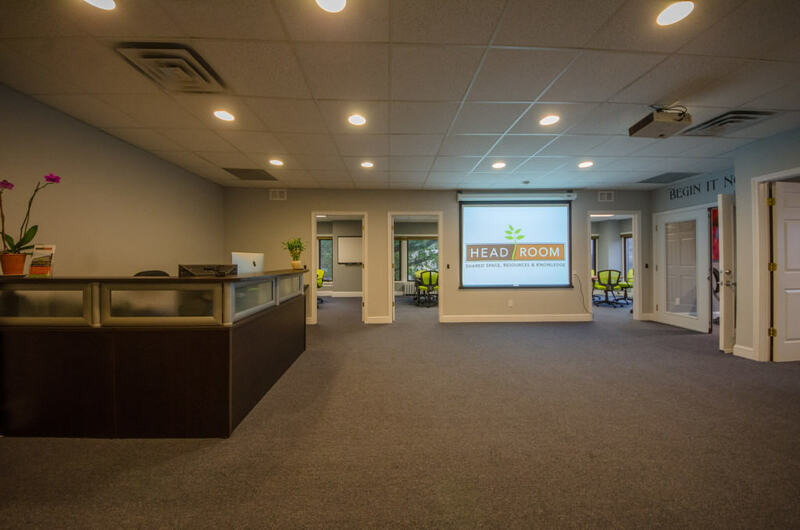 HeadRoom is located on State Street in Media, PA, just a short drive from Philadelphia. 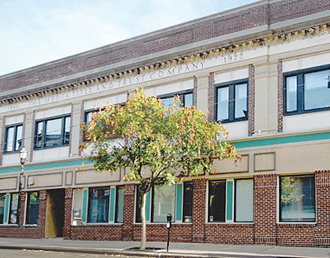 Media is home to plenty of great restaurants, shops & small businesses. There’s even a conveniently located parking garage and train station. 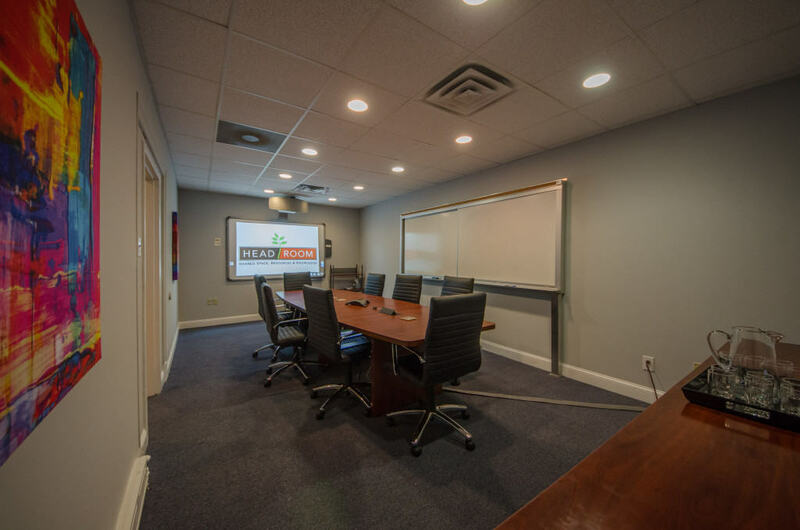 A large board room, which seats 10-12 and comes fully equipped with an interactive smart board projector and multiple whiteboards. 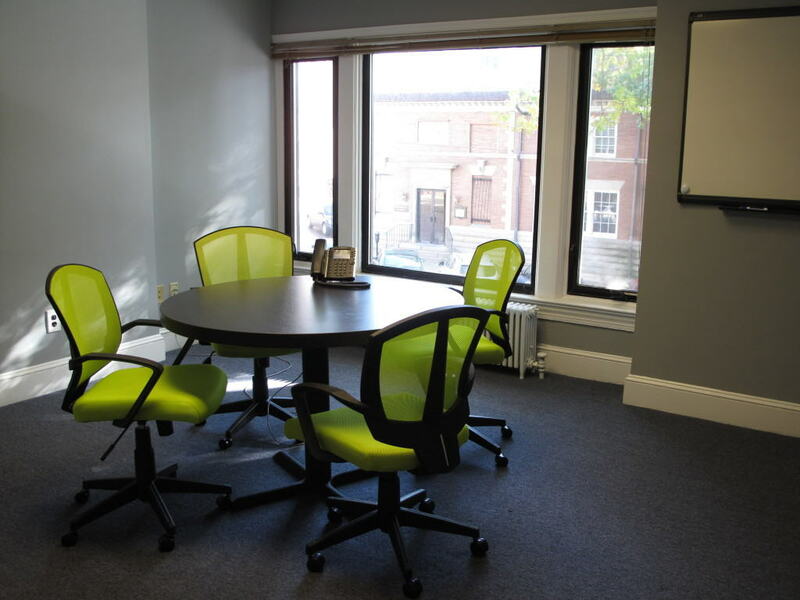 Three bright offices designed for small meetings or quiet individual work. 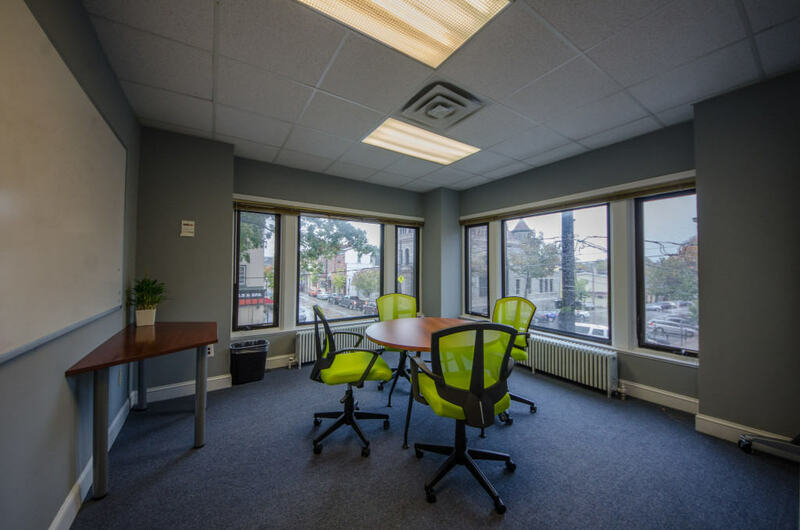 Large corner meeting room with multiple whiteboards for maximum collaboration, as well as a beautiful view of State Street. Flex office with training tables that can be rearranged and configured for presentations to small groups. 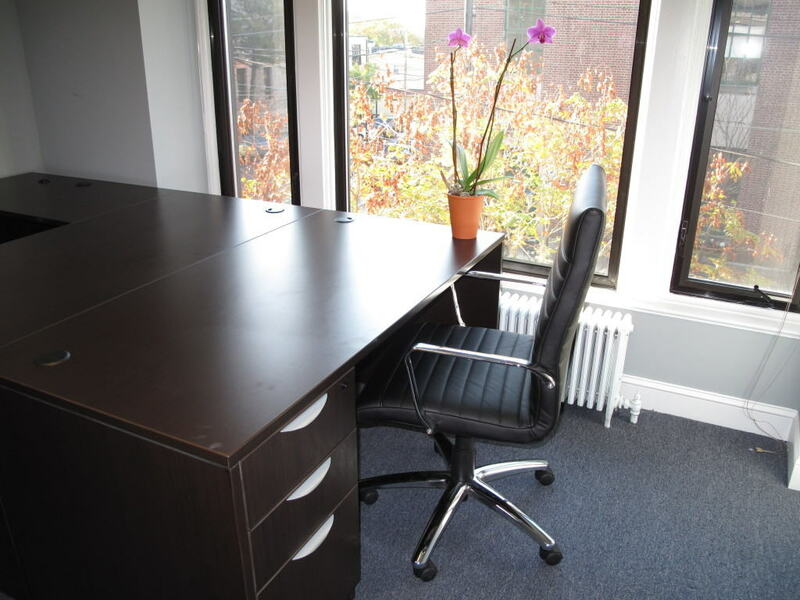 Soundproof room for private calls or one-on-one meetings. 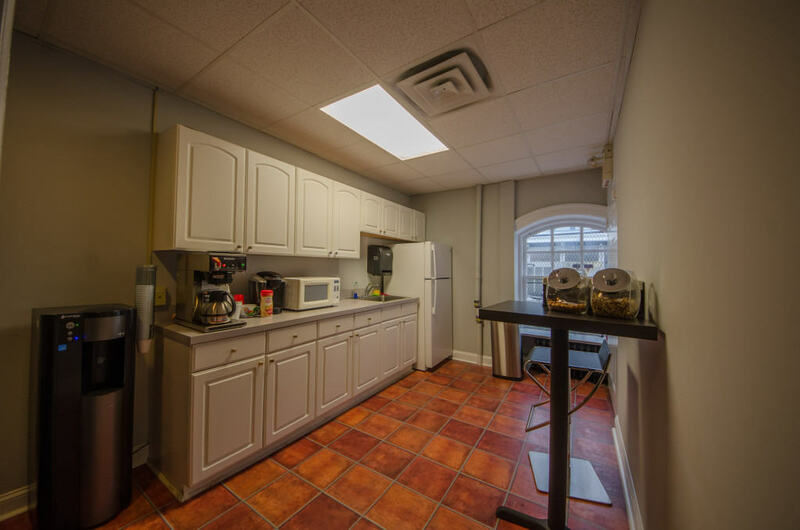 Meeting space for up to 25 people.